In engineering and physics problems sometimes you need to find the charge of the capacitor. Direct measurement of the chargeand capacitor – the task is quite time consuming. 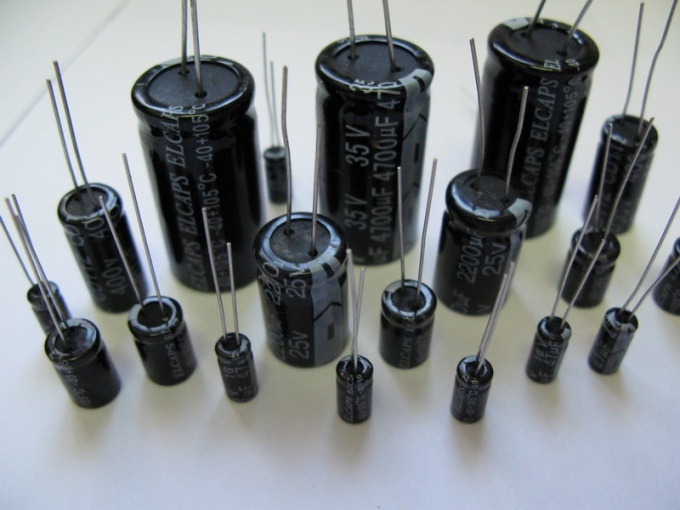 Therefore, in practice, there are more affordable ways of finding the charge ofa capacitor. C is the capacitance of the capacitor, in farads. Note that the above formula determines the amount of the chargeand a fully charged capacitor. But as chargeka of the capacitor is fast enough, then practice using this pattern. The supply voltage can be measured with a voltmeter. To do this, switch the mode to measure DC voltage and connect the terminals of the device to the power source. Record the readings in volts. To know the capacity of the condenser can read the markings on its body. Note that the unit of capacitance Farad (f) is very large, so in practice is rarely used. To denote capacitors are used in smaller units. This MFD (UF), equal to one millionth Farad and picofarad (pF), equal to one millionth of a microfarad. 1 µf=10-6 f 1 pF = 10-12 F.
Sometimes used and the intermediate unit capacity – nanofarad equal to one billionth of a Farad. 1 nF = 10-9 F.
If the capacitor is small, the capacity is indicated using callouts. Carefully read the label of the capacitor, paying attention to its color.If the condenser are just two digits, it is his capacity in picofarads. For example, the inscription of "60" would mean a capacity of 60 pF.